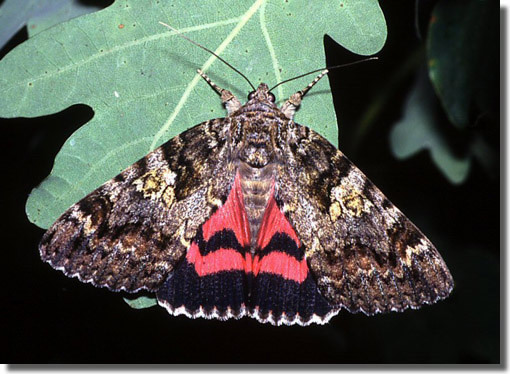 Notes: A vulnerable Red Data Book species, in ancient oak woodland in parts of New Forest, also appearing as a migrant in the south, a priority species under the UK Biodiversity Action Plan. 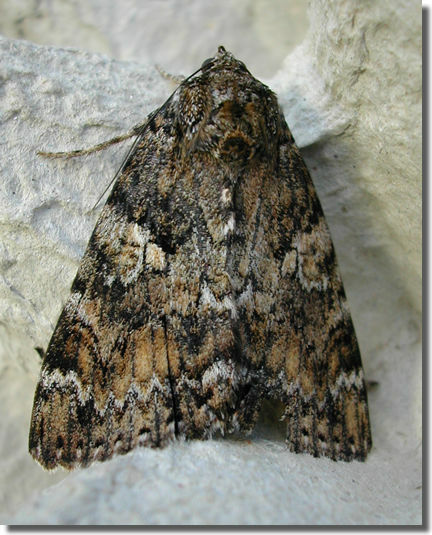 Confined as a breeding species to the New Forest in Hampshire. 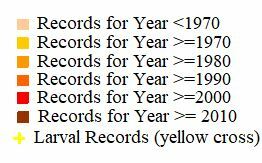 Formerly there were colonies in south Wiltshire until at least 1949. 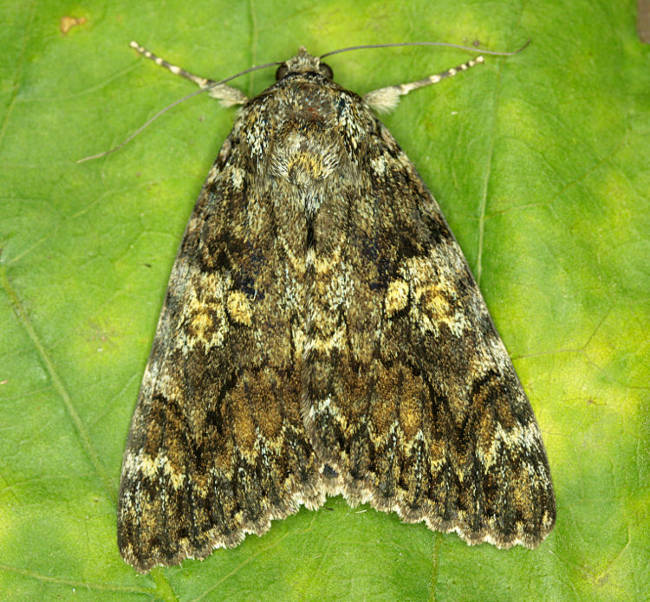 Occasional specimens reported from elsewhere in southern England, including several from north Hampshire and the Isle of Wight, are believed to be migrating or dispersing individuals. 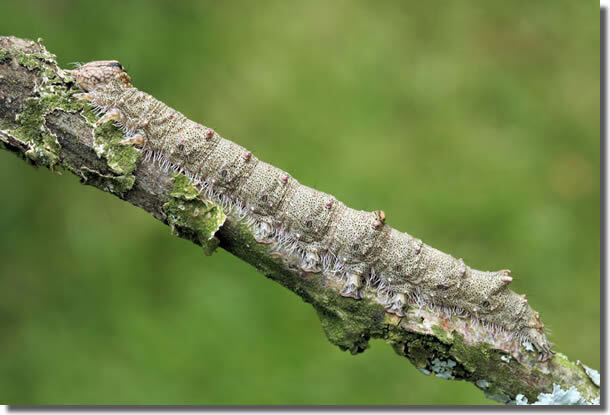 Wingspan 58-78 mm. 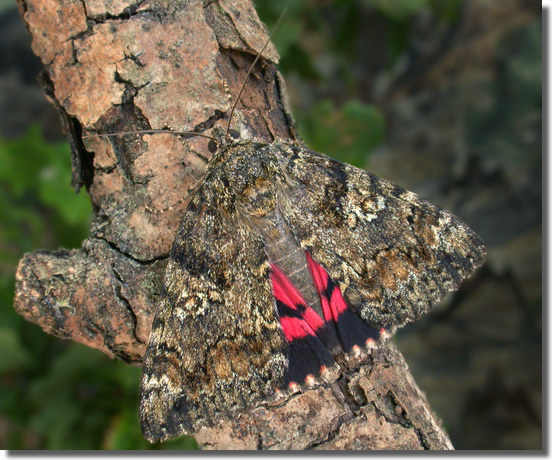 The most likely confusion species is Red Underwing C. nupta, which see for differences. 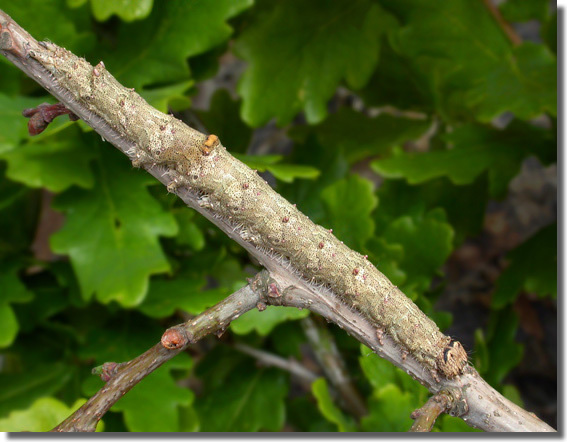 Larva feeds on Pedunculate Oak and Sessile Oak, over-wintering as an egg.